A split system air conditioning system is distinctively different from other air conditioning systems as its indoor unit is separate from the outdoor unit. Also called the condenser, the outdoor unit is kept outside of your room, whilst the indoor unit sits inside. These two separate units work together to improve the air quality in the room. At Air Conditioning Advisory Centre, we understand how the units of a split system work, and we are here to use our knowledge, experience, and skills to design and install a functional split air conditioning system in your living place or commercial building. If you are still contemplating whether you should use a split air conditioning system for your residential or commercial buildings, you may want to take a look at some of the benefits of this system. Split air conditioning system has one of the most effective heat pump systems, which guarantees cool and comfortable air conditioning when used. With its attractive design, you can be certain that this air conditioning system will accentuate the beauty of your home, office or school. Other benefits of split air conditioning systems include easy installation, energy efficiency, simple control and easy maintenance. Now that you have understood the mechanism behind the split system and its benefits, hire Air Conditioning Advisory Centre for proper split system air conditioner installation in Brisbane. From designing the right air conditioning system to getting the best products from trusted brands, installing the air conditioners, and maintaining them afterwards, we can help you with several services. Get in touch with us now at Air Conditioning Advisory Centre. You may end up wasting time and money if you hire a second-rate installer; instead, you need a technician with the right training and expertise. Air Conditioning Advisory Centre in-house technicians deliver top-notch installation services designed to save you time and money. We make sure you are safe by provviding quality performance services, with a smile and peace of mind. We offer split systems with superior performance, energy-efficiency and comfort befitting all your interior spaces and lifestyles. 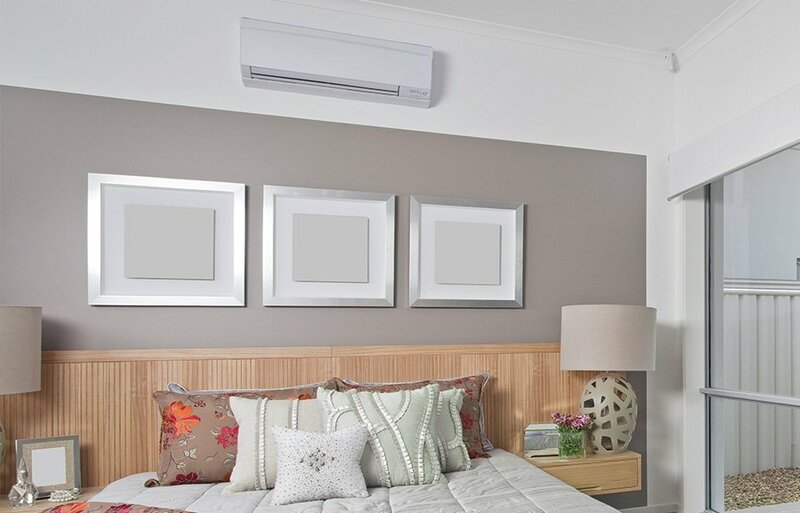 Our split system air conditioner installation in Brisbane is made easy and fits in residences where space is limited. There are many options available; we will discuss your requirements and make recommendations that will help you decide on choosing the split system that is suitable for your home. Residents in Brisbane and surroundings rely on us for split air conditioner installation. Do you want to enjoy the temperature you desire during summertime?